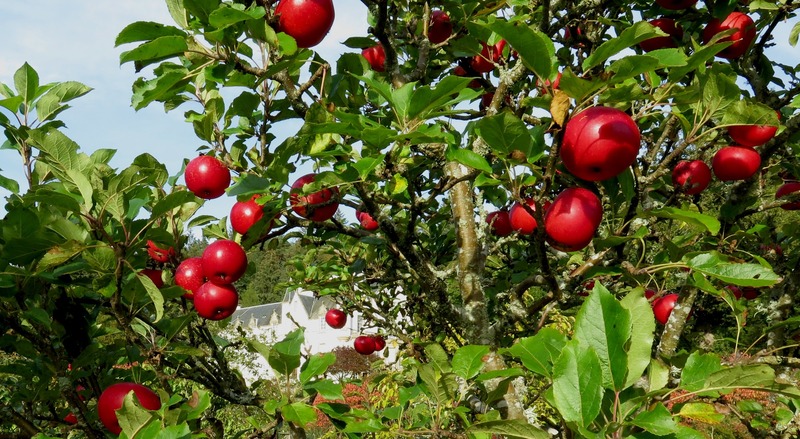 When we first moved to Logie, in 1991, one of the first things we did was to plant an orchard. Just a small one in the garden - a mixture of apples and pears, eaters and pears, all selected to do well in this part of Scotland. 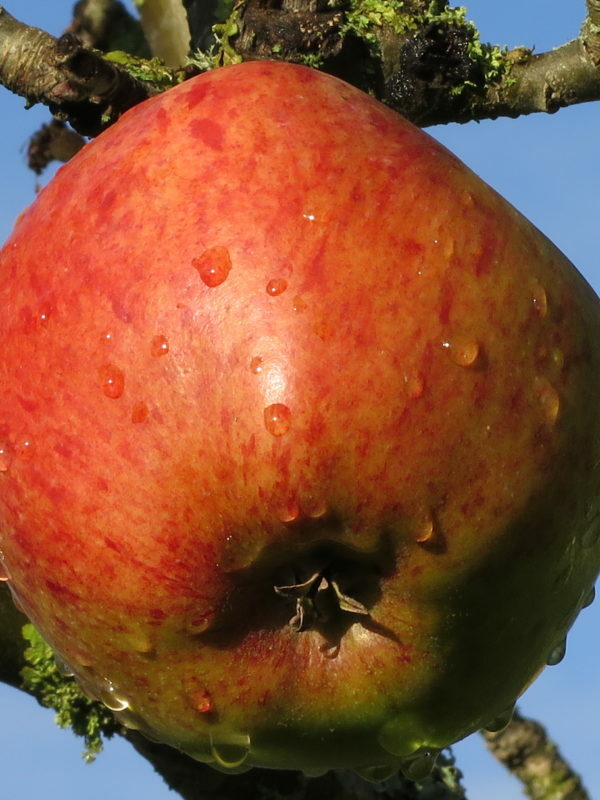 For cookers we chose Howgate Wonder, a really good solid apple; and Grenadier, an early apple which makes the most delicious fluffy apple puree - its only drawback is that it doesn't not store for any time at all. The eaters the selection included Discovery, that amazing bright red apple on the trees that straddle the grass path in the middle of the orchard. Egremont Russet with its a lovely nutty flavour. 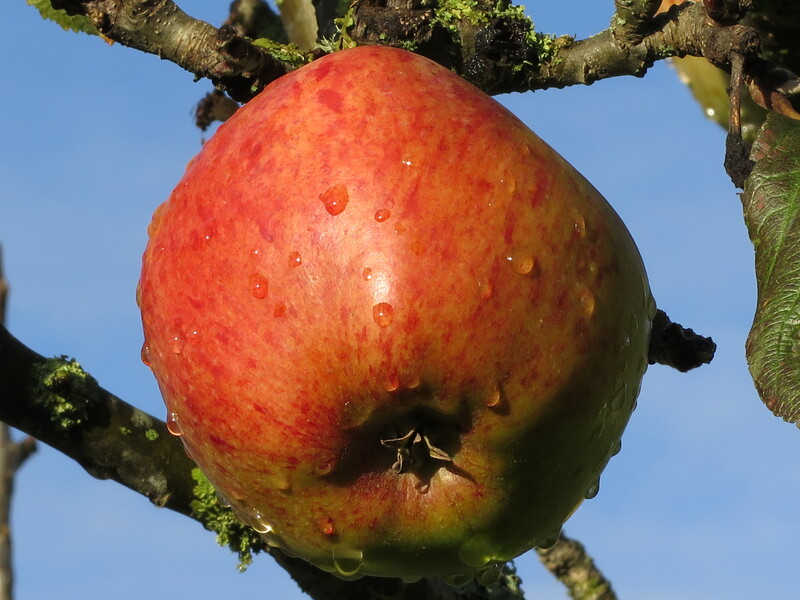 James Grieve and Worcester Pearmain - both delicious eaters which also produce a lot of juice. 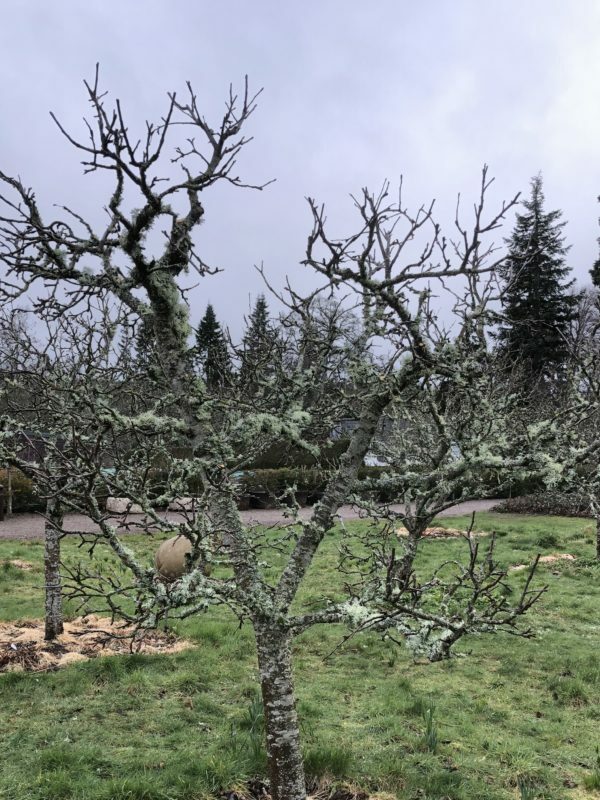 The trees are on medium rootstocks (when you buy a fruit tree you can choose how big you want it to grow by selecting the appropriate rootstock) so they could grow quite a bit bigger than we allow them to. We prune them twice a year: in late summer to control the size and then in March to stop the branches from becoming too congested. 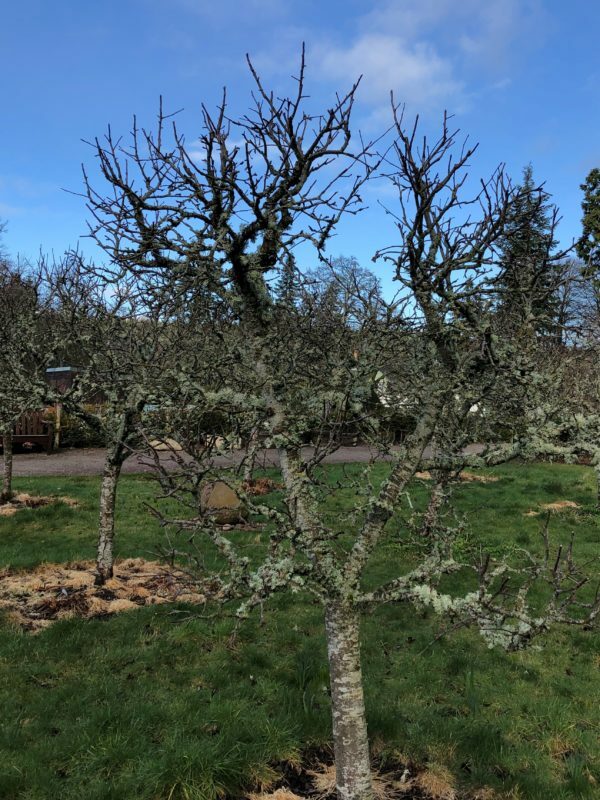 The first image shows one of the apple trees before its recent pruning; the second image shows the same tree having had the attentions of the saw after a certain amount of looking and discussion. Now you can throw your hat through the tree without it getting caught - apprentice gardeners were told that they needed to be able to do this! This all helps to produce an annual crop of fruit for eating, cooking and juicing. 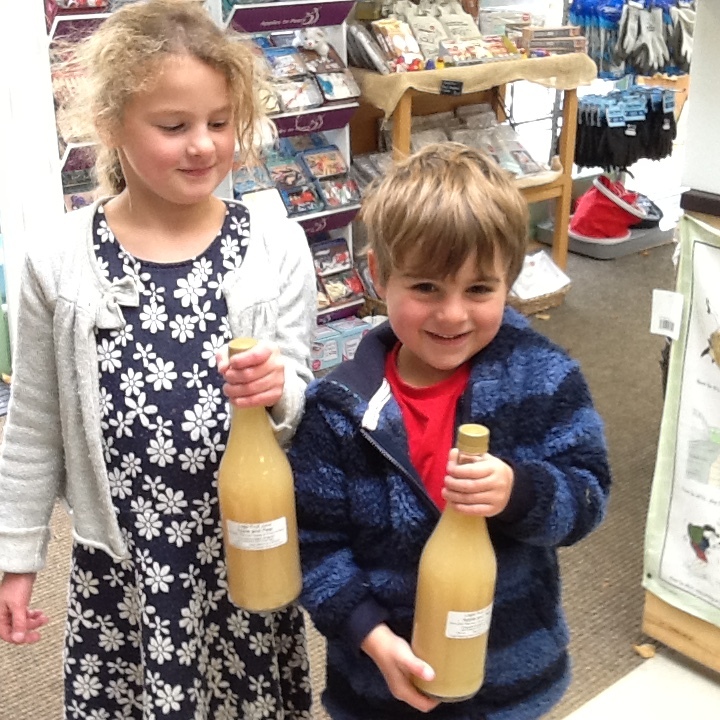 Last year we had a bumper crop after all the summer sunshine; lots were eaten, lots of puddings and chutney made and over 350 litres of juice was pressed. 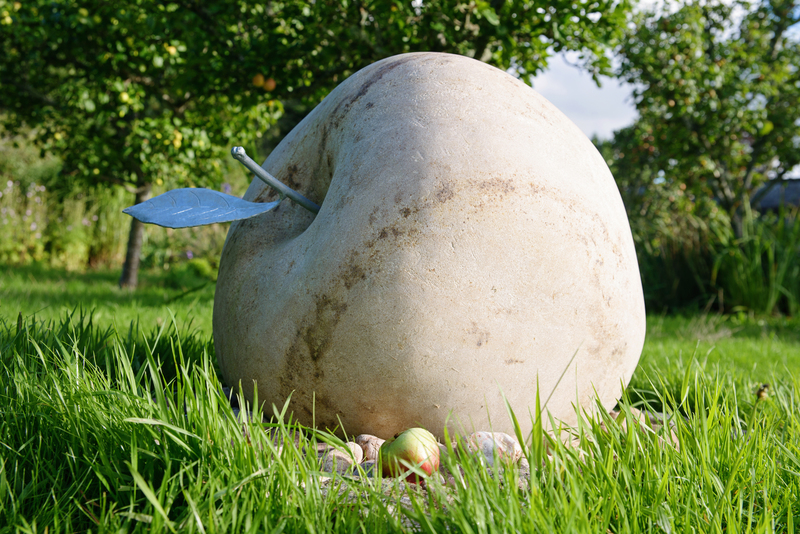 More recent additions to the orchard are the fantastic sandstone apple and pair carved from Covesea sandstone by Adam Raymond. No, they won't make any juice but they are just gorgeous!